Advocate Prashant Bhushan, representing the CJAR, had demanded the recusal of the CJI from the Bench hearing the plea seeking SIT probe saying there were allegations against him in the FIR. The Supreme Court censured the petitioner’s advocate for “forum shopping” because even while the first PIL was pending before a two-judge Bench, they got a second petition, based on similar facts and with identical prayers, listed before the Bench of Justice J Chelameswar on an urgent basis. “The senior councils attempted forum shopping to seek a favourable order and it was unethical of them to do so. They did not verify the position of law and unnecessary doubt was raised on this institution. Proper verification of facts was not made before filing this petition,” the order said. The court said the senior lawyers made irresponsible allegations damaging not only for the judges but also to the institution without even verifying the facts from the FIR filed by the CBI. The bribes, as mentioned in the FIR, could not have been in connection with any judge of the top court since that matter was not pending before the Supreme Court at all, Justice Mishra said. Though extremely critical of the conduct of Bhushan and senior advocate Kamini Jaiswal, the apex court refrained from initiating contempt proceedings against them saying it hoped that no such petitions would be pressed in future. 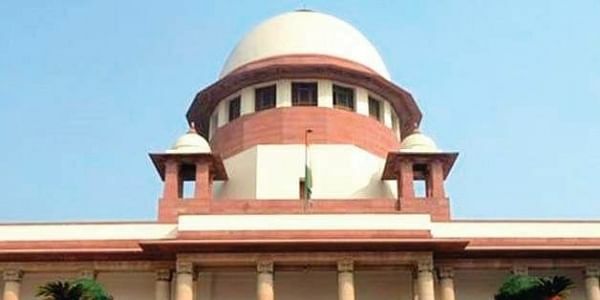 The apex court said the submission of the petitioner that CJI Dipak Misra should not hear the matter or should not assign it on administrative side, was “highly improper” and “it was an attempt of choosing a forum by submitting that Chief Justice of India should not have formed the Bench”. “The CJI was competent to assign the matter to some other Bench. We deprecate attempts to seek recusal of the CJI and also one of the judges on this Bench. It only aggravated the situation,” the order stated. The petitioner had sought recusal of Justice Khanwilkar contending that he had decided the matter of medical college with respect to which the FIR was lodged. “We cannot fall prey to such unscrupulous devices adopted by the litigants so as to choose the Benches, as that is a real threat to the very existence of the system itself and it would be denigrated in case we succumb to such pressure tactics,” the Bench said. Hearing the second PIL filed by Jaiswal, Justice Chelameswar had last week ordered for setting up a five-judge Constitution Bench while summoning the evidence collected by the CBI. But this order was overturned by a Constitution Bench led by the CJI a day later. Justice Mishra also pointed out that the petitioners did not inform Justice Chelameswar that their first case had been assigned to some other Bench. The Bench said such things could not be ignored as it would be the “saddest day” for the Indian judicial system to ignore such aspects on unfounded allegations and materials.